Please join people throughout Monroe County who care about our land and water by making a gift to the Brodhead Creek Heritage Center (BCHC) capital campaign. ESSA Foundation and the county commissioners, among others, have pledged support toward the goal of $750,000. Friends of Brodhead Creek Heritage Center logbook. 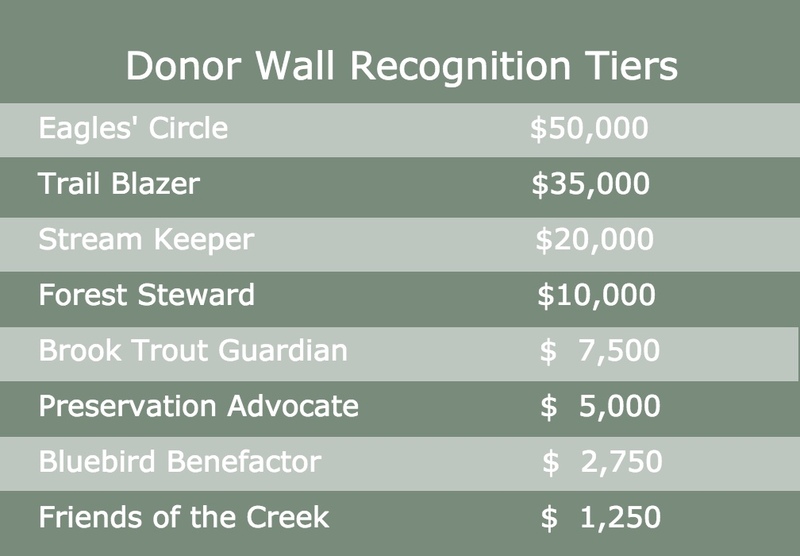 An anonymous donor pledged to match gifts up to $50,000 toward construction of the Brodhead Creek Heritage Center at ForEvergreen Nature Preserve ~ and the public responded! Donations reached the $50,000 goal plus a little more. THANK YOU! But the project isn't complete, so please continue to give generously!